The international disability rights movement lost a brilliant leader and great thinker on August 9, 2010 when Paul Longmore died unexpectedly at his home in San Francisco. Longmore, Professor of History and Director of the Institute on Disability at San Francisco State University was a thoughtful and visionary scholar, disability studies pioneer, fierce advocate and role model to many. 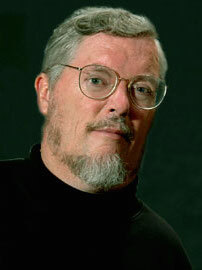 Paul Longmore was both an activist and a scholar, and was generous with his time. Because of this, thousands of people will no doubt be sharing Paul Longmore stories over the next many day. Here are mine. When I first became involved in disability rights issues in the early 1990’s Paul Longmore taught me a lot about disability history when I attended a class he was teaching. More than the just sharing facts, however, Paul (along with several other key leaders in the disability rights movement) also helped me really understand, in a deep way, disability as a social issue, a civil rights issue, a human issue. He did so with great patience and humor and for that I have always been extremely grateful. I still remember how I first felt when I read this piece, as well as others Paul wrote. Because he was such a great writer and patient teacher, I could actually feel my mind opening up to new ideas, new ways of perceiving the world. New ways of understanding. My last email exchange with Paul held the possibilities for similar new learning. In May of this year, Paul gave a talk at the Smith-Kettlewell Eye Research Institute in San Francisco entitled “Subverting the Dominant Paradigm of Blindness: Revolutions in Consciousness.” The title so reflected how I thought about Paul Longmore as a creative, think outside the box person. I was not able to attend, and so i sent him a note about how his talk might relate to work I’ve been involved with around Talking ATM technology and advocacy. He wrote back that he was “very interested in the history of the Talking ATM technology/advocacy ‘paradigm shift.’ I hope we can talk about that at some point.” I am sad to say that we never did.